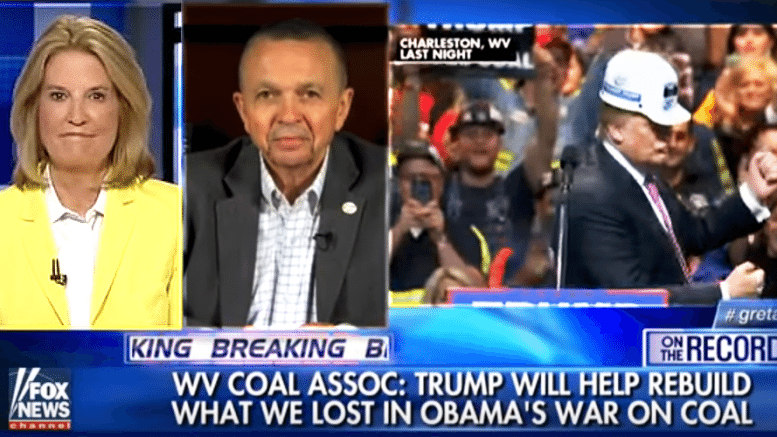 Greta – Clinton Kills Coal With $30 Billion Bribe – Is That OK? Sometimes Greta Van Susteren appears to have a thorough grip on things and other times she seems to be falling victim to liberal contamination poisoning. As a member of the mainstream media, it often seems she is struggling to suppress her latent liberal tendencies in the interest of garnering and maintaining a largely conservative and Republican audience. 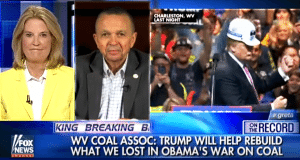 In an interview with Bill Raney, the President of the West Virginia Coal Miners Association, she opens a discussion of the favorable reception, support and endorsement that Donald Trump is receiving. She contrasts that with the political blunder of Hillary Clinton in admitting that she and her party were putting coal miners out of work and would continue to do so. They’ve already largely destroyed the coal industry and are poised to eliminate it. She misses several points, as do most of the media in their coverage of important issues such as the impact of global warming based neutering by the anti-Americans of both parties. First they are eliminating a product, a major contributor to our economic strength that fuels both domestic prosperity and to our national bottom line as an export. She misses the fact that the money that would supposedly be reinvested is money that should be going, if nowhere else, to pay down debt we already have, not wasted in the recovery from a totally unnecessary and deliberately created financial hardship. Put it into defense; put it anywhere other than as a Band Aid to conceal the destruction of the Marxists who are attacking our nation. She also fails to recognize the dignity and self respect that the coal miners get from working. Just as throwing money at unemployed inner city residents is a temporary solution which ultimately fails, people need the self-worth that comes with earning and productivity. People need a reason to get up in the morning and a basis upon which to sleep soundly at night. Becoming a recipient of federal welfare is not something the miners want and it’s a situation they understand is based upon a non-existent or over-exaggerated threat, that it’s totally unnecessary. They are also patriots who love America and understand that a country that doesn’t work is a country that doesn’t survive. Greta should realize that as well. How would she like to be told that the production of television news programs is being discontinued and that she’s about to be out of work. It’s okay, the lying politician responsible tells her, she’ll be retrained at taxpayer expense. It will mean she’s going to lose her current housing situation, since nobody in the Northeast will be broadcasting news anymore, that she’s being completely uprooted. But maybe she’ll like her new career, once a training facility is set up and money is flowing. A whole new green industry of some kind may flourish in a few years. Sorry for the interruption.